Peas are a cool climate plant. It prefers sandy loam soil with a great drainage facility. 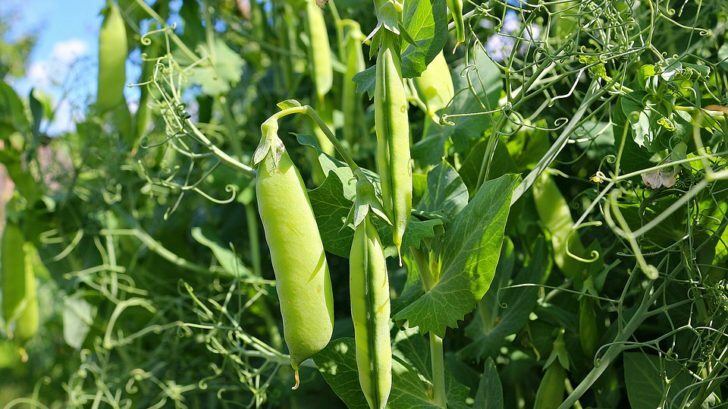 A pH level of 6.5 to 7.5 is generally ideal for peas. In case your soil is much more acidic than this add dolomite or lime with the soil to bring it to this optimum level. Plant different varieties all at once and don’t make an attempt to plant them with some time gap. They will mature at different times and give you a long time to harvest and enjoy the peas. Check your local garden shop for different varieties of seed available in your locality. 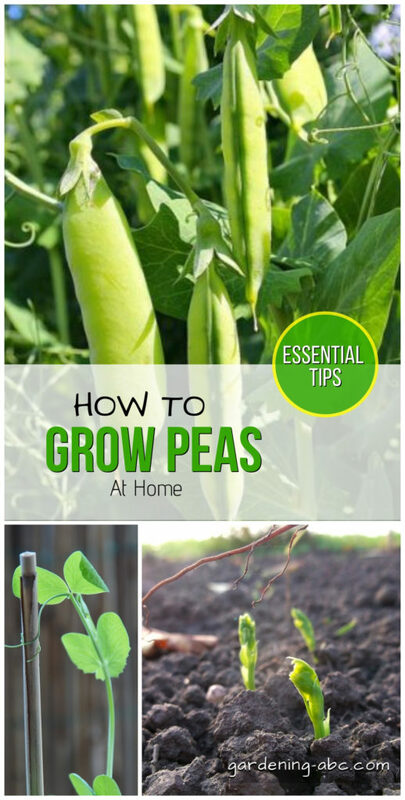 Peas are one of such a plant that requires very less fertilization. With the help of the nitrogen-fixing bacteria in their roots, they can manage their share of nitrogen. Though you have to add other nutrients from time to time you rarely need to add nitrogen. An excess amount of nitrogen can result in lush foliage and reduction in pods. Please keep this in mind in case you prepare your own compost, and add a lesser amount of nitrogen-rich materials. For a good pea production, you need to take care of the watering needs of the plant. Generally, deep watering once or twice in a week will be sufficient. In the time of blossoming you need to provide extra water. Dry soil can drastically reduce a chance for a good pea production. Good sunlight is required for the fruit production so don’t ignore that. Provide support as per the variety of the plant. For taller varieties, you need to provide a trellis, bamboo canes or netting. For dwarf varieties netting will be sufficient. Please make sure not to plant peas or any legume plant in the same soil more than once in three years. Being a legume plant pea is very good in companion planting. It works well with most of the plants. Radish, spinach, lettuce all leafy vegetable all do well with peas. Cucumber and potatoes show a special affinity towards peas. Just avoid garlic and onions for better pea production. One important tip for harvesting. Don’t pull out the roots while harvesting rather cut off the stem above the ground level. The roots contain nitrogen-fixing bacteria. Allow these root to rot down in the soil to increase the nitrogen content of the soil which will be beneficial for the next plant in that soil. The root system of a pea plant is not very deep. So while picking the pods use both of your hands, one to hold the vines and pick the pods with the other one. To increase the pod yields you need to pick them regularly. The yield will be reduced in case the overly matured pods are left in the vines. The best way to enjoy peas is fresh and direct from the plants. But in case your production is much more than daily consumption, you can definitely store in the refrigerator or you can even dry them in sunlight and then also store them in containers. Hope you have enjoyed the article. Like to know your feedback on this.